Introducing Flutter-view, a new way to lay out and style your Flutter widgets. After nearly five months of internal development, we can finally show you what we’ve been working on! What better moment than Flutter Live ‘18 to release it on? We built flutter-view because it is something that helped us write our own Flutter app faster. It is used heavily at https://www.nineconnections.com to write our new app. 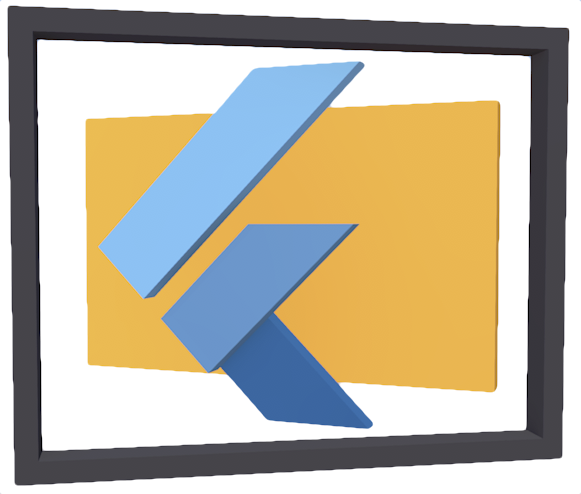 Many thanks for Floris van den Grinten for contributing heavily into making flutter-view production ready. One of the first things we noticed as we tried using Flutter for a big app, is that working with state within the widgets was a bit cumbersome and did not scale to a larger code base. We came from using Vue.js/Nuxt.js for our backend dashboard, and enjoying how fast we could develop for it. Our designers and web developers could chip in and contriute as we worked on the code base. In a way, flutter-view is a way to bring some of this enjoyment to developing with Flutter. However we wanted to merge it with the strengths of Flutter. Flutter-view is only a light generator, always creating understandable code. It also respects the way Flutter names properties, and where no direct CSS property matches, we use the Flutter properties. Hot reload works as always, and if you use VS Code, we created some plugins so it even works on save. As it is, the documentation is still incomplete. We rushed to get this all up and running, and documenting will get priority now. Please enjoy using Flutter-view, and if you have any questions, feel free to contact. © 2018 Copyright Christian Vogel | All rights reserved.